Versatile VERSA control panels are used to secure flats, houses and small office and commercial facilities. Their versatility mostly results from a broad range of available accessories and their well-thought-out user interface ensures simple everyday system operation. Regardless of the selected operation method, i.e. LCD/LED keypads, card readers or remote control keyfobs, operation of systems based on VERSA control panels is simple and intuitive. This is particularly important in case a system is to be operated by children or the elderly. 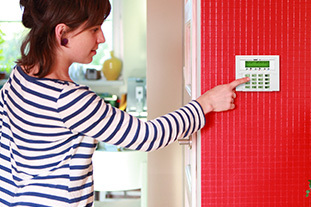 A system based on a VERSA alarm control panel is extendable. 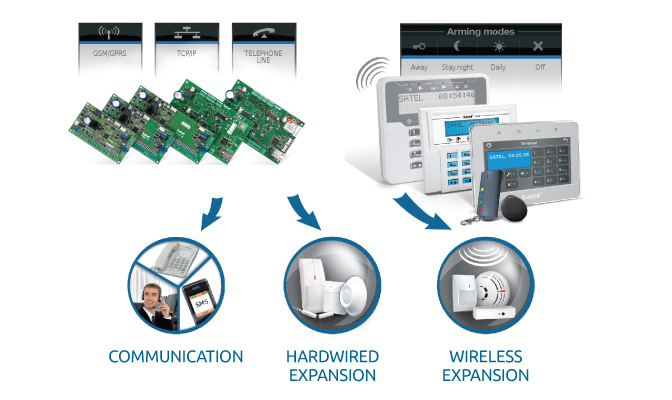 To this end, both wired and wireless extensions may be used, simultaneously maintaining the existing devices (main board, keypads and readers). VERSA control panels are perfect solutions for now and the future. All VERSA series control panels ensure very easy programming and activation. 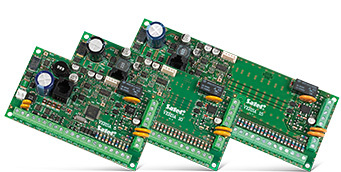 This results from well-thought-out factory settings and clear programming menus displayed on LCD screens. Additionally, VERSA control panels may be even more easily programmed by means of a computer operating the DLOADX program supported by Windows operating systems. 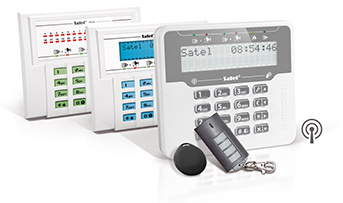 One of the most important features of an alarm system is efficient transmission of information regarding an alarm. VERSA control panels may communicate via not only inbuilt phone communicators, but also GSM/GPRS and TCP/IP (Ethernet) modules. Thus their potential may be realised regardless of given communication media availability. VERSA control panels operate on common software so that it is enough to familiarise oneself with one of them in order to take advantage of the capabilities offered by the other ones. This is also the case while programming them by means of a computer, i.e. 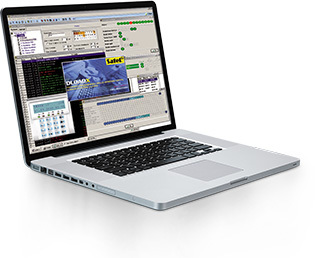 all VERSA control panels are configured by means of the same DLOADX program, which significantly limits the time necessary to get to know them and take full advantage of their capabilities.